This inverter remote control allows the user to remotely switch on or off power inverters made by Samlex. Allows for simple hookup with one phone jack type connector, there is no cutting and splicing necessary! 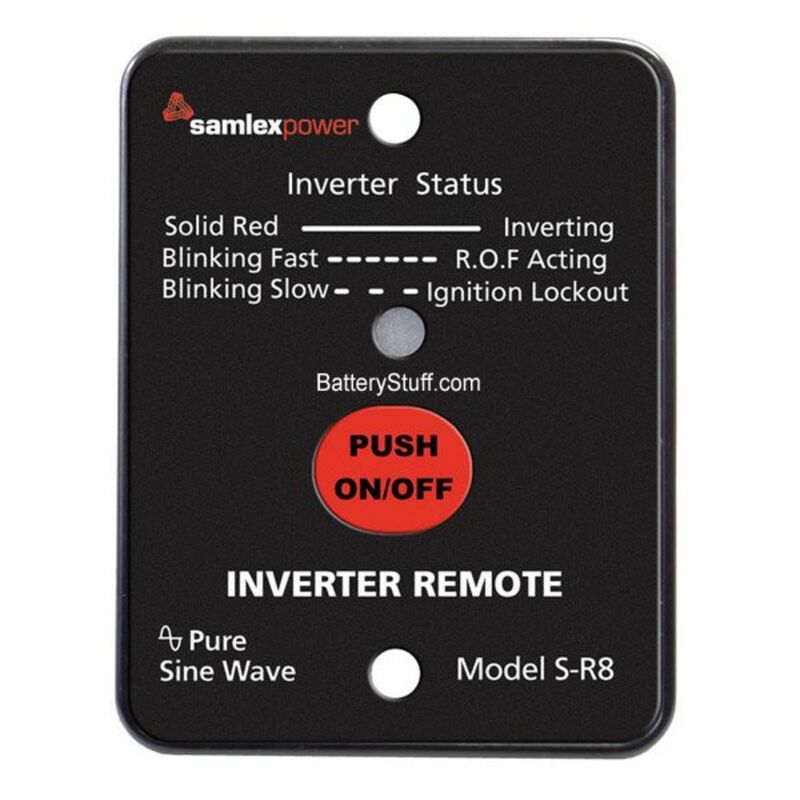 Designed for on specific SA / SK / SA sine wave inverters, the S-R8 remote control panel can be mounted up to 50 feet (15 meters) away for convenient status monitoring and ON/OFF inverter, power saving enable/disable activation. Pressing the button (and releasing in one second) changes (toggles) the output ON/OFF mode and the display of LED will be changed accordingly. WARNING! DO NOT use standard telephone cable. Do you own the S-R8? Please, tell us what you think about it. It helps us provide you with better products. Please note that it may take up to 72 hours for your review to appear.